Bovada has the reputation for being the easiest offshore gambling site for making deposits already. Their record of accepting Visa and MasterCard payments for their sportsbook, casino and poker room already surpasses the other offshore sites. Add to this a free monthly check cashout, and you’ll see that Bovada has a secret (in addition to their excellent sportsbook and casino) in their growth towards being the biggest offshore gambling brand. Now there is an additional deposit method across the different gambling verticals – Bitcoin. Going back a few years, the only options you had with Bitcoin were dedicated casinos that let you play in this currency. Bovada keep your balance in dollars, converting the balance at the current exchange rate the moment you deposit. This means you do not need to hold Bitcoins for very long, minimizing any concerns about sudden price movements. Of course, the price of BTC could easily go up while you are holding them too! I am looking forward to seeing withdrawals via the same method. How to Deposit at Bovada using Bitcoin? The process could not be easier and there are instructions with links via the ‘Bitcoin’ link on the Bovada homepage. Your first step is to create a Bitcoin wallet, this is a virtual wallet you will use to hold, send and receive BTC. Next you fund that wallet, there are some restrictions on how you do this – for example not with PayPal (as a later PayPal payment reversal would lead to issues). You will be able to use a simple local bank transfer in most cases. Once you have funds in your wallet, depositing is very easy. Go to your Bovada account, get a key from the cashier (long string, which links your account to the deposit you are about to make) and then use that key with the ‘send’ function from your BTC wallet. Your deposit then gets exchanged for dollars at the current spot rate, and you are good to hit the tables. See the step-by-step instructions (with links) over at www.bovada.lv now! Visa and MasterCard are the most popular deposit methods. As long as you can make international purchases with your card (most will) then you should have no issues. Sometimes the payment gateways block these transactions, though these change all the time and you can usually try again later and get your money through. Having said that, there are several alternatives in addition to Bitcoin available. 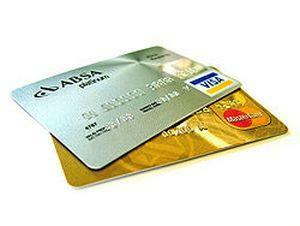 Pre-paid Visa cards are an easy option. You can buy one from your local convenience store. I recommend you hit up the support at Bovada first, to find out which brands are currently working the best. Money transfer services are your next best option, here I am talking about global networks like Western Union. Since these services can’t knowingly let you make a gambling transaction from the US, you’ll need to transfer to an individual who will collect the money for Bovada. Again, get an account and then hit up support to get this started. There are many good reasons other than easy deposits why Bovada are the biggest and best online sportsbook and casino. If you have not checked them out yet, then I recommend you do exactly that! See www.bovada.lv for the latest lines, games, promotions and (or course) deposit options!